Tools and resources that enhance network effectiveness, organizational mergers, strategic alliances, and restructuring. Beth Kanter has defined a networked nonprofit as “an organization that uses social networks and technology of social media to greatly extend its reach, capabilities, and effectiveness.” We believe that enhancing network effectiveness is the key to success for today’s nonprofits. 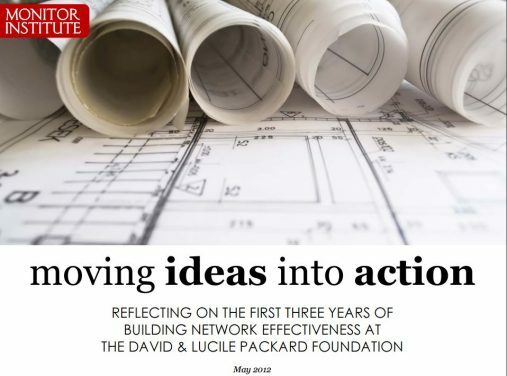 What has the Packard Foundation learned from its own grants to promote network effectiveness? Find out by reading Monitor Institute’s assessment of three years of networks-related grantmaking.